Here at Coaching for ADHD I love getting emails from you! Especially when you ask questions and want more understanding or clarification about something ADHD related. Recently I received an email from a father asking a question about his son’s behavior. He wanted to know if it was “normal” for someone with ADHD to be able to focus on some things and not be able to focus on other things. Great question, right? Isn’t ADHD an attention deficit issue? How can an ADHD child spend hours building towers on Minecraft, but can only attend to drawing a picture for five minutes? 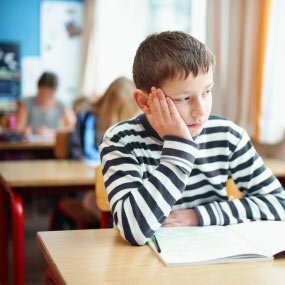 Answer: It is completely normal for someone with ADHD to be able to focus intensely on something they find interesting or fun and to have difficulty maintaining focus on something that is innately less interesting to the person. This doesn’t mean it isn’t important or that the person doesn’t know it is important. The challenge for ADHD is holding our attention on something that is not as interesting to us. It is normal with ADHD to not be diagnosed until adulthood. It is normal with ADHD to excel at some things in your life and struggle greatly in other ways. It is normal with ADHD to forget what we actually did during the day and beat ourselves up because it feels as if we have accomplished nothing. It is normal with ADHD to read something multiple times and not remember what it said. It is normal with ADHD to be able to concentrate better with music or a TV program playing on low in the background. It is normal with ADHD to take hours to fall asleep because our brains are busy or we are bored. It is normal with ADHD to be incredibly bothered by a small tag from clothing, but not notice the pile of laundry growing on the bedroom floor. It is normal with ADHD to feel better organized with piles of papers on our desk rather than have them in files in a drawer. It is normal with ADHD to feel like waiting 5 minutes for something we want seems like forever while several hours doing something we enjoy passes in a mere second. It is normal with ADHD to be a “time optimist” and believe we can pick up the house, reply to an email, wash the dog and empty the dishwasher in just 5 minutes. It is normal with ADHD to spend hours finishing a project or homework and then forget to hand it in. It is normal with ADHD (inattentive type) to appear slow moving on the outside even though our brains are racing one hundred miles an hour inside our heads. It is normal with ADHD to be very intelligent but do poorly on academic standards. It is normal with ADHD to have difficulty remembering any more than three things at a time. It is normal with ADHD to be able to be detail-oriented and notice the small thing in one area of our life, but get lost in the big picture in other areas. It is normal with ADHD to be sitting in a restaurant and hear everyone one else’s conversations in the room, but not be able to focus on the person talking right in front of you. It is normal with ADHD to self-medicate with caffeine, smoking, alcohol, marijuana or illegal substances in order to feel like our brains are calm, balanced or normal. It is normal with ADHD to get bored in the middle of a task and not finish it. It is normal with ADHD to have difficulty prioritizing tasks. It is normal with ADHD to experience success with a system and then simply stop using it and forget why. It is normal with ADHD to have a zillion amazing ideas and not be able to follow through on any of them. It is normal with ADHD to be looking at a person and not hear what they just said. It is normal with ADHD to have problems getting started on a task. It is normal with ADHD for people to think you are just unmotivated, lack discipline or are lazy. It is normal with ADHD to spend an hour in the shower and not even get your hair wet. It is normal with ADHD to hyper focus on something we really enjoy and want to spend all our time doing just thing. It is normal with ADHD to run a large successful business and not remember to pay your own monthly bills on time. It is normal with ADHD to be very intuitive and simply “know things,” but have no idea how we know them. It is normal with ADHD to have challenges socially or with our relationships because we interrupt people, finish their sentences or talk only about ourselves. It is normal with ADHD for other people to think we are faking it. It is normal with ADHD for other people to ask to buy your medication. It is normal for ADHD (especially women) to become much worse as we age and feel like our brain has left the building. It is normal with ADHD to feel overwhelmingly out of control most of the time and respond to this with either angry outbursts or by becoming withdrawn and tearful. It is normal with ADHD to walk into a room and have forgotten what you were there for. It is normal with ADHD to hear that people don’t believe you have ADHD. It is normal with ADHD to work 10 times as hard as other people and not experience the same reward or success. It is normal with ADHD to have lots of talents, skills and strengths and not even be aware of them. …and the list could go on! There are so many things that are normal for people with ADHD to do, feel or think. Things that people without ADHD can’t relate to or understand. Things that people often misinterpret as intentional and end up getting angry and frustrated about. When we all better understand ADHD – what is normal for people with ADHD – we can start to be able to let go of blame, anger or guilt and can begin appreciating the intricate world of ADHD. So the next time you take 15 minutes to walk upstairs and forget what you were talking about on the phone and why you were there, just remember – it’s normal! It might be “normal” but I wish I could figure out how to fix many of the above behaviors. How do you do that? Medication doesn’t seem to do that. How can a family help someone with the many behaviors of a person with ADHD. The teachers at school don”t believe the child has ADHD and are always sending the child home because of behavior. Please help. I don”t want the child to be thrown by the wayside. Reading this just gave me a well-needed reality check. I’ve been really struggling recently with returning ADHDisms (and of course the accompanying emotional overwhelm) that I thought I’d gotten over with medication and strategies, and I think I’ve really just been giving myself a hard time for the fact that I struggle in the first place. Thank you for reminding me that I am normal.